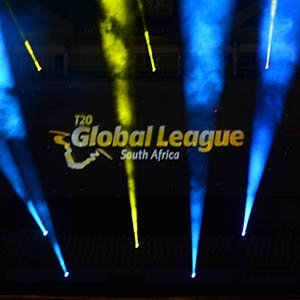 Cape Town - Cricket South Africa (CSA) is reportedly close to settling payout agreements with the players who were due to take part in the inaugrual T20 Global League. The much-hyped tournament was due to start in November this year, but was scrapped by CSA at the last minute amid concerns over its financial sustainability. As things stand, the tournament is now expected to be launched in November 2018. Since January, there have been discussions between CSA and the South African Cricketers' Association (SACA) over the compensation of the 140-odd players who were signed across the eight franchises. The total contract figure after the draft in August sat at over $10 million (R136.3 million). Now, according to a report on ESPNcricinfo, CSA and SACA are nearing an agreement over the compensation figure for the players. According to the report, the exact amount of how much the players will receive will be confirmed in the coming days. CSA will at least have their coffers boosted by two high-profile tours in early 2018 in the form of India and Australia.